After sticking on the flakes one-by-one for 2 toenails, I’m already complaining what a tedious design she chose, so I ended up simplifying the biggest toe by only surrounding the disco balls around the corners lol..
Close up. Pearls and crystals lining the half-moon shape. Had to painstakingly add on the beads one.by.one…. Before the 3D heart, I thought it also looked quite good without the add ons. 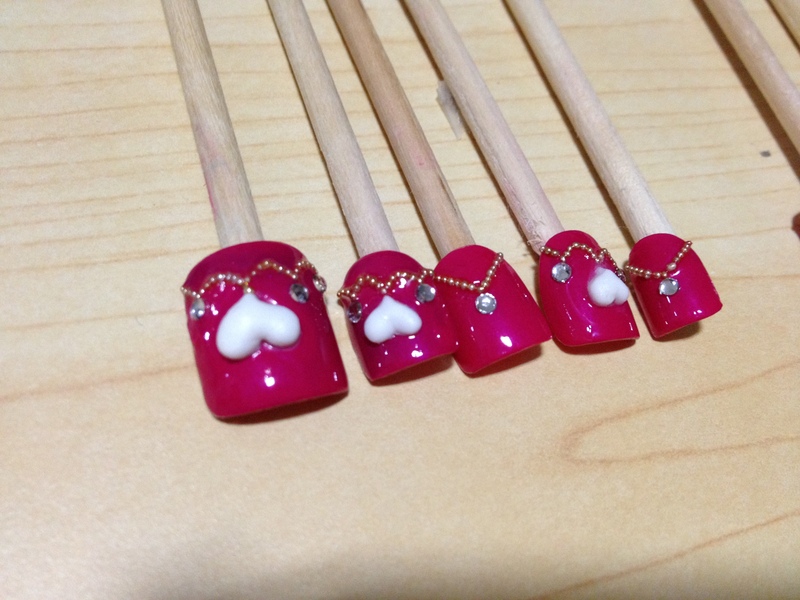 With 3D heart and crystals. Close up. First try on 3D heart, not perfect yet but it will be better with more practice! I had so much fun doing 3D art I can’t wait for my nail art lesson to start! 😀 I call it the bracelet nails (: My mom also wanted the same for her nails, but wanted it to be longer so I suggested fake tips. I’ve not learnt extension yet else I will do that for her, and it will last longer than fake tips.. 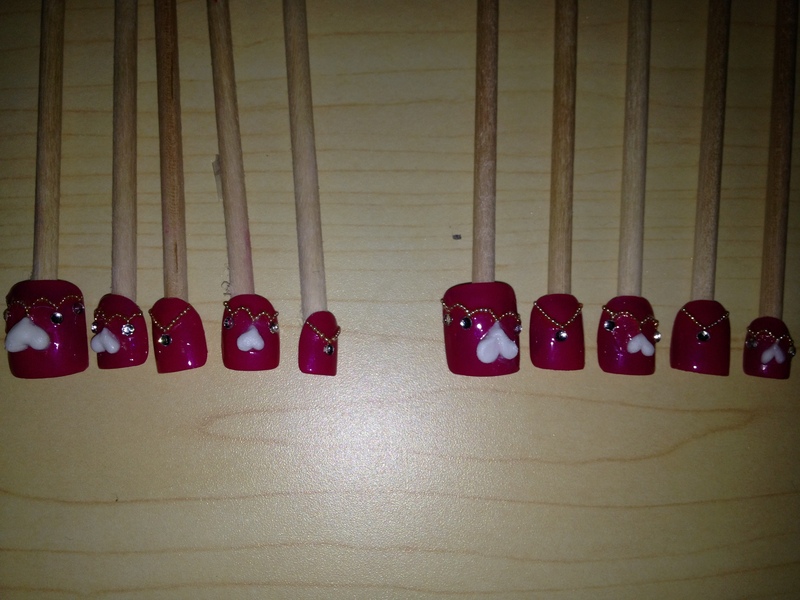 Spent almost an hour on customizing the correct nail size and filing it to the correct shape. Don’t they look like toenails? Haha, my mom has got short and fat nailbed so I got to use relatively bigger tips. Wanted to do my own nails but after doing their nails I’m soooooooo exhausted, will do it tomorrow or when I have the time.. Guess I wouldn’t be blogging much in the next few days as I only have 2 appointments this week and no flea market this month (so sad!!). See ya then!